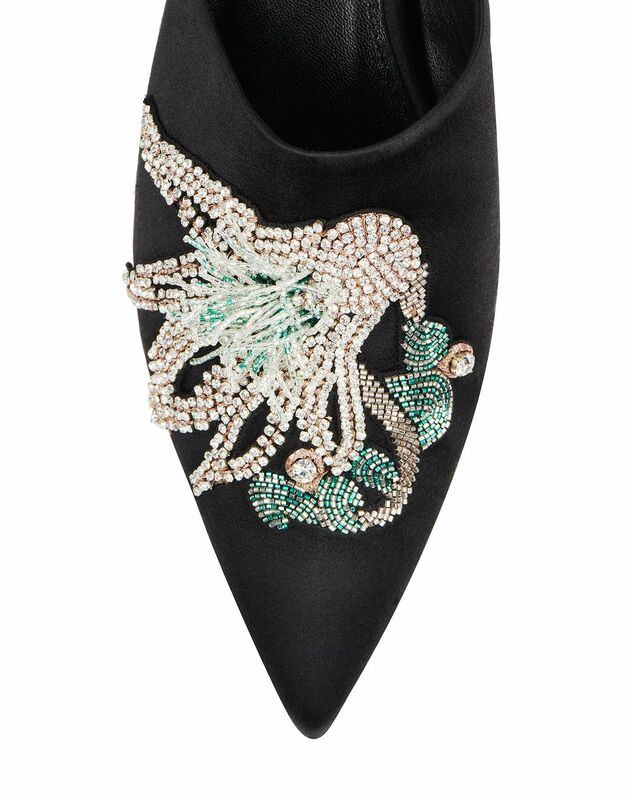 Black satin mule, cap toe topped with embroidery featuring hand-laid beads and black insole with gold "Lanvin" logo. 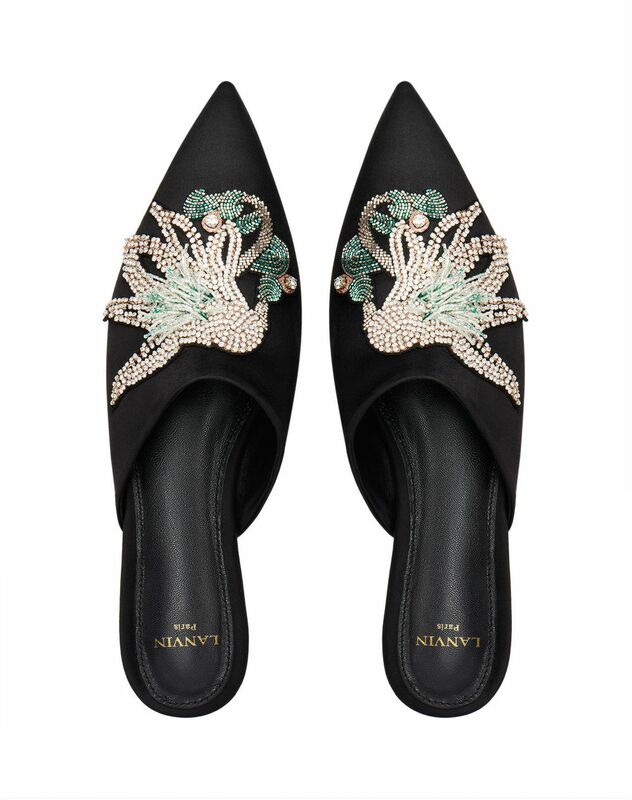 Inspired by the theme of travel, Lanvin presents its newest mule in black satin. 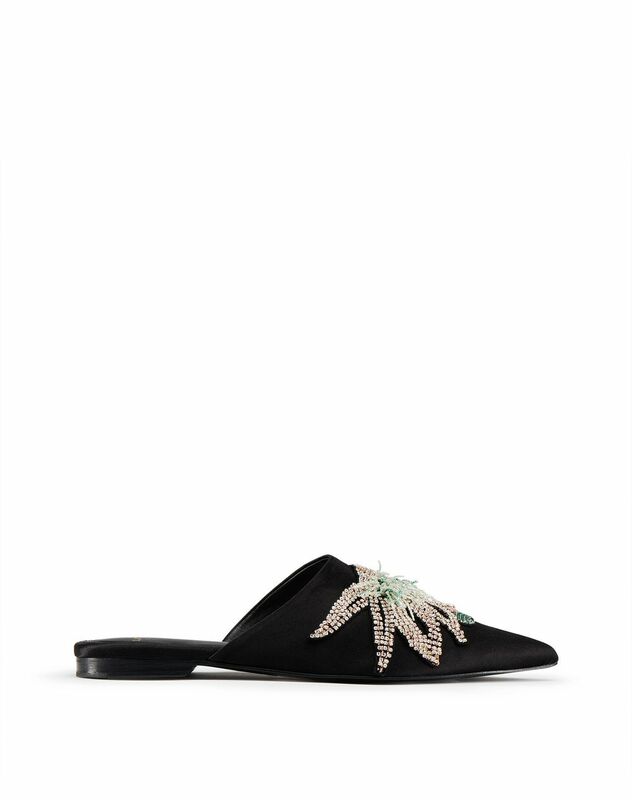 The embroidery work showcasing hand-laid beads and crystals combined with the sparkle of these materials gives this trendy model an elegant, refined look. 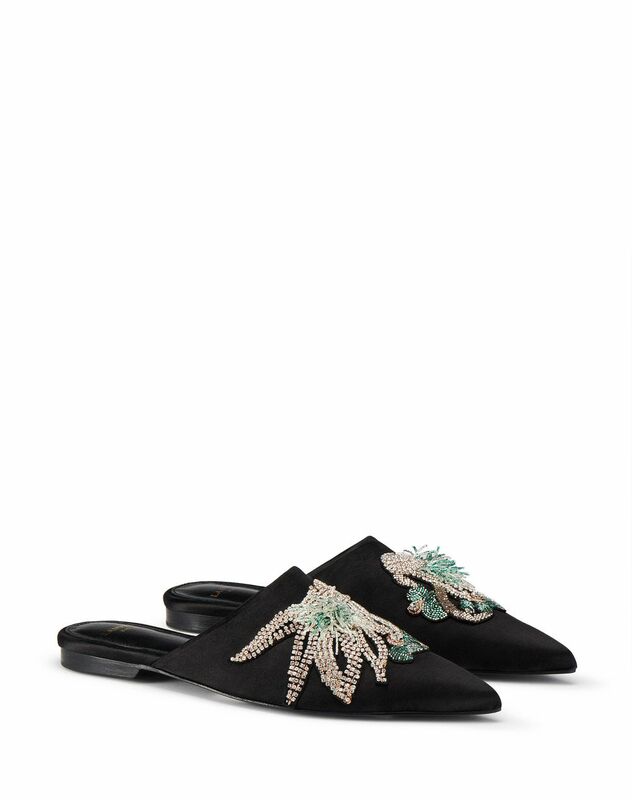 Chic for every occasion, these mules will keep you looking stylish all season long. Main material: 72% viscose weave, 28% silk weave. Lining: 100% calfskin leather. Sole: 100% cow leather. Heel height: 1 cm Made in Portugal.